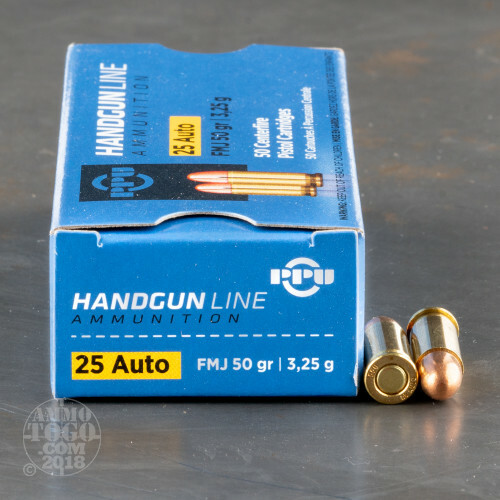 These .25 ACP rounds from Prvi Partizan ensure that your small handgun gets the big quality that it deserves. Each cartridge is built using fine components including non-corrosive Boxer primers and clean-burning powder which won't eat away at your collectible pieces and rare antiquities. 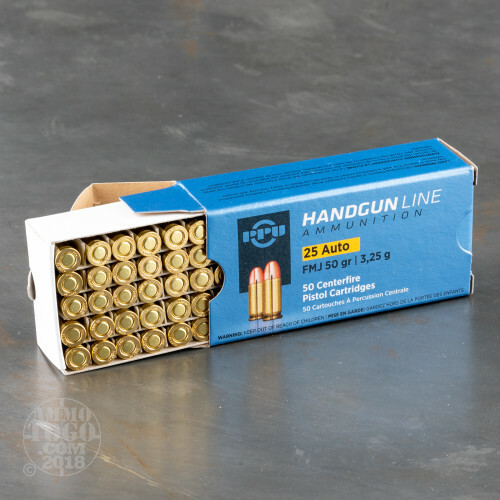 With premium reloadable brass casings and precisely crafted full metal jacket (FMJ) projectiles, you can except smooth feeding, dependable cycling, and consistent accuracy on target. 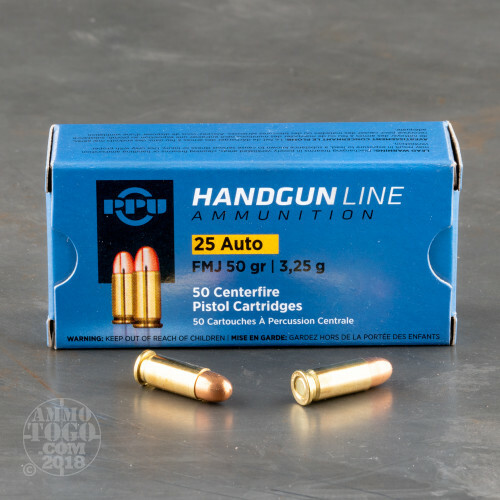 The 50 grain FMJ bullet sits as the heaviest common choice for the caliber and produces smooth recoil which is desirable when shooting smaller pistols with less grip surface. Prvi Partizan is a Serbian manufacturer which has been around since the late 1920s. 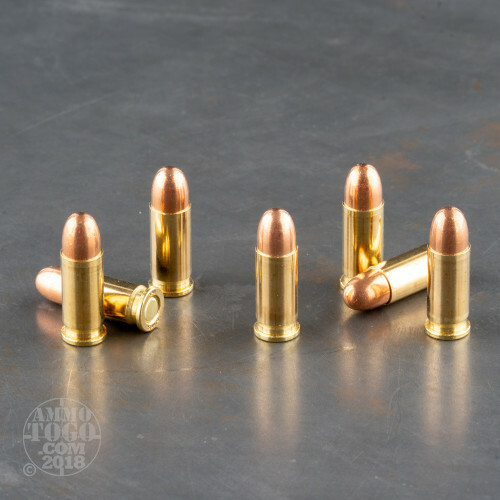 They are highly recognized not only for their high performance imports, but for reintroducing older rifle calibers so that curio enthusiasts need not invest in a reloading setup.